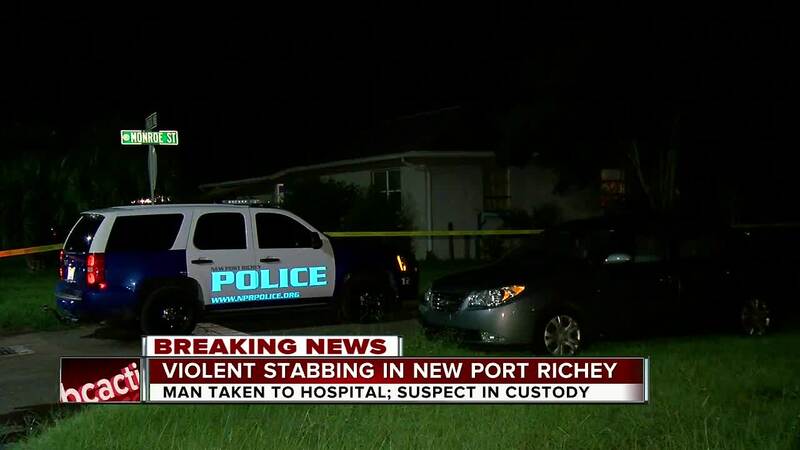 NEW PORT RICHEY, Fla. — Police are investigating a home invasion Thursday night in New Port Richey. 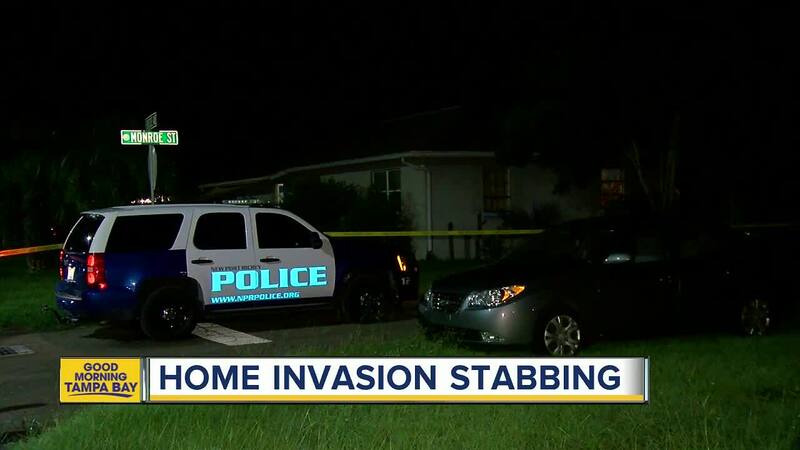 New Port Richey Police Sergeant Chris Mellecker says that the home invasion took place in the 6000 block of Tennessee Avenue after 7 p.m.
Police say that a man broke into the home and stabbed a man once he was inside. The victim was rushed to the hospital, his condition is unknown. A woman who identified herself as the victim’s girlfriend said her boyfriend’s wound is very serious and life-threatening. That same witness told us that the man who broke into the home is obsessed with her and has been stalking her for a while. Police say that one person is in custody.